Groups of Columbia Law School students spent their spring break week working at legal services and public interest organizations across the U.S. and abroad. More than 100 Columbia Law School students spent their spring vacation week volunteering in locales ranging from Alaska and Texas to Germany and Jordan. Working full-time with 23 public interest organizations and public defenders’ offices, they provided free legal services to underserved populations and understaffed organizations. Their assignments included counseling detained immigrants in Texas, Native Americans in Alaska, hurricane survivors in Puerto Rico, capital defendants in Louisiana, and asylum-seekers in Italy and Germany. Organized and partially subsidized by Social Justice Initiatives, the Spring Break Pro Bono Caravans are one of the Law School’s signature programs. Approximately 65 percent of participants receive need-based funding from Columbia Law School's Public Interest Law Foundation. 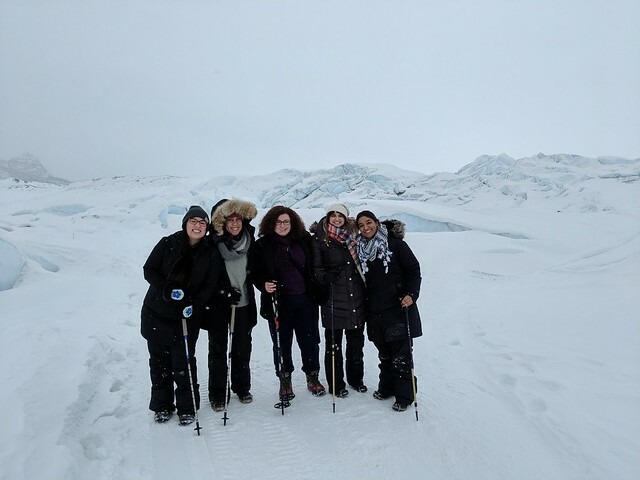 Mentored by practicing attorneys, the students reported getting on-the-ground training during long and intense days, but they also said they had time to soak up the local culture. Enjoy our slideshow of “postcards” from six of the caravans. Posted on April 6, 2018.